Being broke is a story that I know all too well. Growing up, we didn't have much. My parents both worked minimum wage jobs. They didn't have credit cards, no student loans and lived pay check to pay check. I created great savings habits as a teen. However, as an adult, things were just a lot harder. I would buy stuff just to buy it. I guess I was trying to live like the Jones. I was a single mom, living on one income, no child support, a mortgage, childcare and pretty much every bill in-between. How did I learn to save? I stopped making excuses. I would have ever excuse in the book. I'm a single mom, I don't make enough money, I deserve this! Etc. I started off slow. Once I created a savings habits it got a lot easier. Is it hard at first? Yes, Is it worth it? Yes! Today I'm going to share with you four simple tips to get you started. I need for you to see down and write a budget. If you watched my Budget Binder Video or read the Budget Binder blog post. I shared free printable's that you can use. You have to know how much money is coming in. What bills you have to pay and what is left over. You have to create a realistic goal for you and/or your family. There is no way that you can start saving if you have no idea what amount of money is allocated to each area in your life. You also have to know your limits. If you set a $400 a monthly budget for groceries. Once you reach your limit. You can't go back to the store. If you notice that you have money left over each month. You can rollover the money or allocate it to your savings account. You have to learn how to tell yourself NO. Know your want and needs, no seriously sit down and figure out what you have to pay and what you're making excuses for. I still to this day try to figure ways that I can save my family money. After many years of having cable I mean I've always had cable. My parents were broke and they always had cable. I learned how to borrow movies from my local library for FREE. Now I have Netflix which I don't have for myself more for my family. Netflix is the fraction of the cost of cable and everyone has learned to adjust. I wrote a long blog post about 40+ of My money Saving Secrets. Yes, I know that you have to buy stuff that your and/or your family might need. Checkout out my Money Saving Secrets post and see how you can apply any of these tips to your life. What do I do when I feel like I deserve Starbucks? I use my $5 gift card that I earned from ReceiptPale. That's five dollars extra that I'm not wasting on a beverage that I can make at home. Can be allocated to a savings account. I save my Starbucks rewards and treat myself every now and again. I watch out for Starbucks and don't rush to ever single one of them just to get points or just because it's on sale. I just don't purchase things because they are on sale. Target used to be Clutch. Now I can walk in for what I came for and what out with my coins. Trust me, I get cash is king. Why not get a couple of coins from the stuff that you would normally spend your money on every day? You still have to get gas, you still have to buy groceries. Why not get cash back from buying stuff that you would normally buy. If you have a credit, what benefits is it giving you? Do the pros out way the cons? Is it a rewards card? Once you establish credit it should be really easy for you to get the credit of your choice. DO YOUR RESEARCH. However, be very mindful if the credit cards have any annual fees? It doesn't make sense to get a credit card. Pay $97 annual free and only get back $100 year in rewards. There are plenty of rewards cards without annual fees. My suggestion would be to not even use the cash back that you received from your credit cards. Bank of America has a sweet setup (No, this is not a affiliate link) where you can an additional bonus when you transfer your rewards points to one of their savings accounts. The perfect way to save with free money right? I'm always trying to save and spend my money wisely, thanks for sharing these great tips. I'll definitely try to put these tips into practise. These are great tips! I'm currently trying to save for a few international trips, so I definitely be putting these tips to use. This is so important. I've always been big about saving. When my husband and I were first married we had hardly any money and lived paycheck to paycheck. I vowed to NEVER let it happen again so we started to put a little bit back each month. It helped. 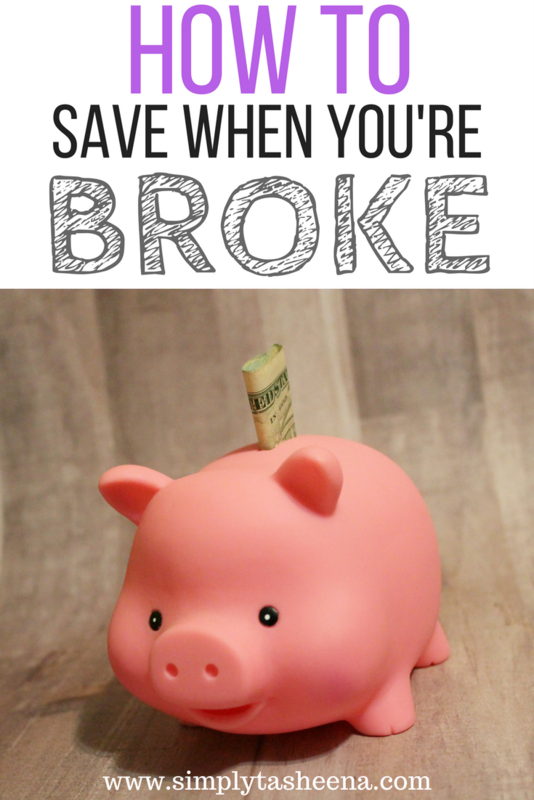 It's so important to save even when you are not broke. If there is something that I learn you don't know what could happen next. Better be prepared that regret it. It's amazing how much you can sit down and not spend on when you break it down. That cup of coffee out every day can totally add up. This is brilliant tips! Saving money is really important. Some great tips! I also try to save my Starbucks rewards! It's is always nice to save some bucks where ever you can to minimize your expenses!